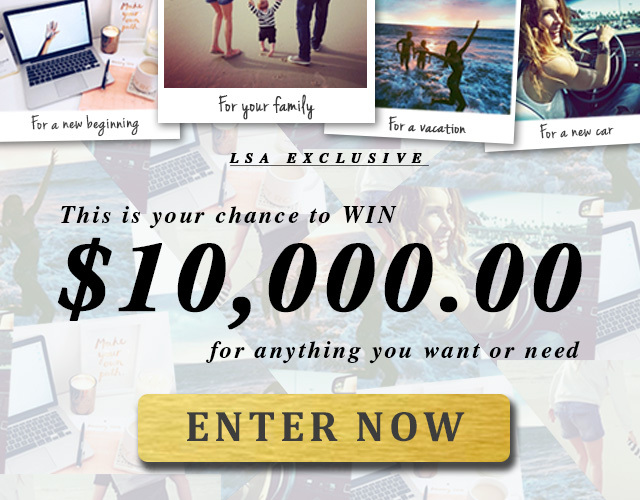 Enter LSA's $10,000 Summer Dream Sweeps for a chance to win $10,000 CASH to use to make every single one of your summer dreams come true this year! The prize for the Promotion is Ten Thousand and No/100 Dollars ($10,000.00), approximate retail value = $10,000.00 (the “Prize”). This Sweepstakes ends on 09/29/16 and you can ENTER ONCE to win.